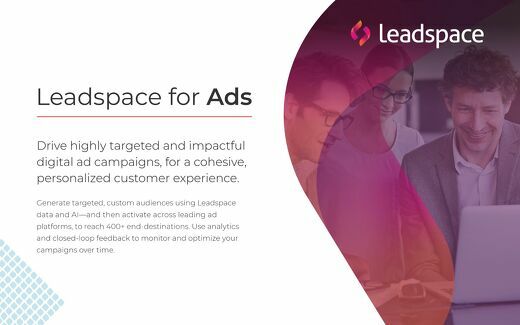 Leadspace for Ads takes B2B ad personalization to a new level, by leveraging Leadspace’s proprietary Persona Scores to reach precisely those individuals you want to engage with your ads. 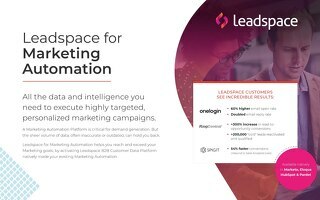 Leadspace for Marketing Automation helps you reach and exceed your Marketing goals, by activating Leadspace B2B Customer Data Platform natively inside your existing Marketing Automation. 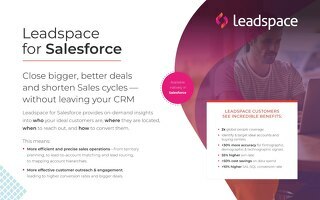 With Leadspace for Salesforce, you can whip your Sales data into shape, improving efficiency and results - without ever leaving your CRM. 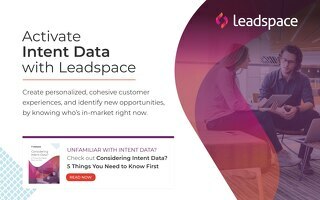 Find out how Leadspace Customer Data Platform uses intent signals and AI to enable personalized engagement by knowing when your prospects are interested in buying. Why would you need to match incoming leads to accounts? By knowing which leads belong to which accounts, you can develop an account-based marketing lead generation strategy that converts leads.